Check out Tobi's Kathy Lace Cat Ears Headband Can't figure out what you're doin' for Halloween? Look no further. The Kathy Black Lace Cat Ears Headband has come to the rescue. 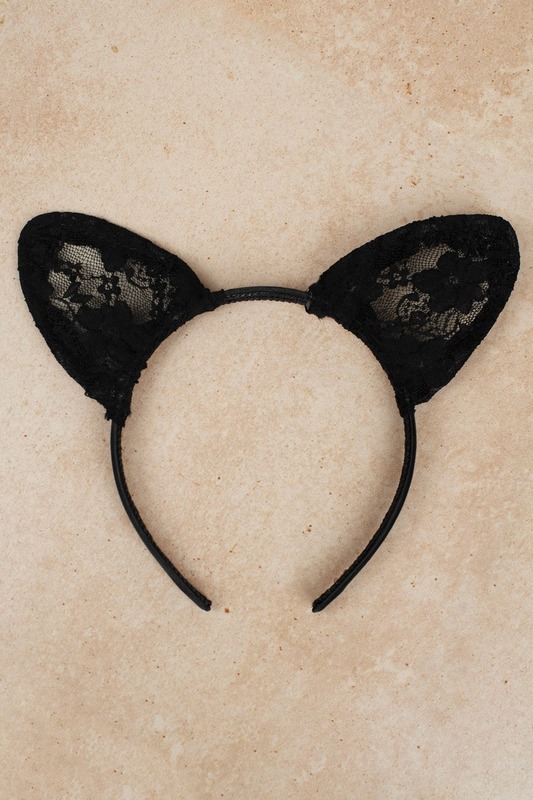 This cute headband features lace cat ears on a comfortable band. Complete the look with a lace dress and drawn-on whiskers and your costume is set! Can't figure out what you're doin' for Halloween? Look no further. The Kathy Black Lace Cat Ears Headband has come to the rescue. This cute headband features lace cat ears on a comfortable band. Complete the look with a lace dress and drawn-on whiskers and your costume is set!